Quite possibly the only drawback to cat ownership is the litter box. For that reason, many cat owners search far and wide to find the best litter box for odor control. With so many litter boxes to choose from, it can seem like an impossible task. The best way to control litter box odor is to keep the litter box clean. That makes the best litter box one that’s easy to clean so you can keep those foul odors at bay. 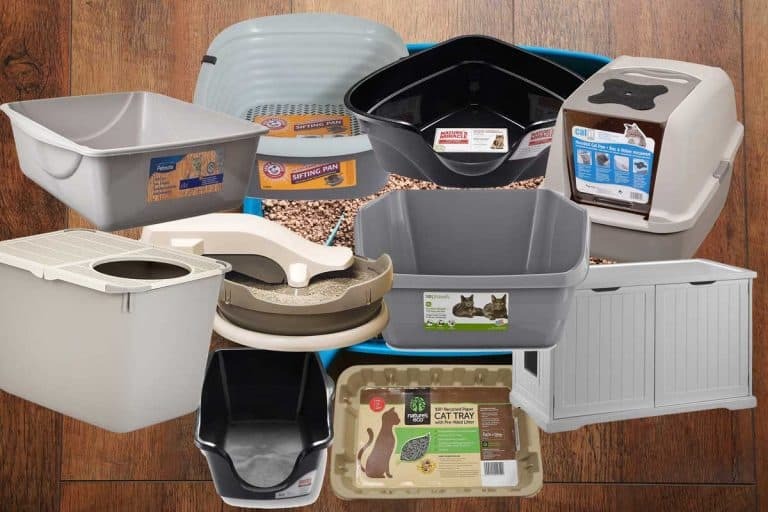 We’ve gathered some of the best automatic litter boxes that do most of the work for you, and included some basic litter boxes that have some added features to help with litter box odors. Hopefully, you’ll be able to find the perfect litter box from you on our list. Keep reading to find out more about the best litter boxes for odor control. Unfortunately for cats everywhere, many cat owners buy into the belief that a covered litter box will reduce odors. This is true, but only for the pet owner. Covered litter boxes often trap the odors inside, which makes for a bad bathroom time for your cat. For that reason, you won’t find many covered litter boxes on our list of the best litter boxes for odor control. Those that are on here have other features that help with odor control, and at least have openings to allow for some airflow. Remember that your cat has a far better sense of smell than you do, so what you smell on the outside of a covered box is a tiny fragment of what they smell on the inside of a dirty litter box. That’s why when we talk about odor control, our focus is on keeping it clean! The first litter boxes we’re going to look at are automatic or self-cleaning litter boxes. These make it incredibly easy to clean the litter box since you either don’t have to do anything, or the work is nominal. While there are plenty of these to choose from, these are our top picks. 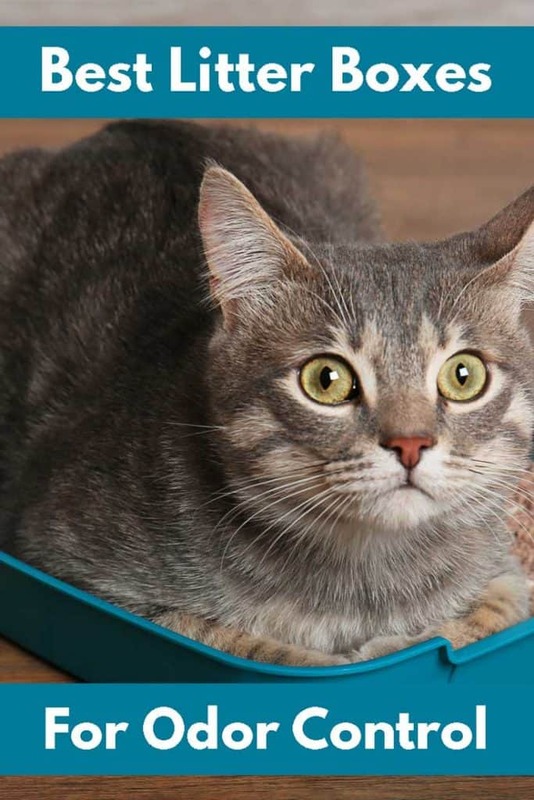 For unbeatable odor control, there’s this self-cleaning litter box. It has a rake system that removes clumps for you, but the real secret is in the litter itself. It uses a special crystal-based litter that traps odors and quickly dehydrates solids to reduce foul smells. Overall, the PetSafe ScoopFree Original Self-Cleaning Cat Litter Box is a great option for ultimate litter box odor control. This automatic litter box cleaning system uses a conveyer belt and a rotating litter box to remove waste constantly. The litter is then dumped into a covered container so it keeps bad odors trapped until you’re ready to toss all the waste. If you want a litter box that keeps itself clean, the PetSafe Simply Clean Automatic Litter Box System could be the best one for you. This is the ultimate automatic litter box. Once you set it up, you don’t have to do anything for it ever again! It sends all waste right down the toilet drain. Plus, it has a self-washing function to take care of the washable granules so you don’t even have to replace the litter. The CatGenie Self-Washing Cat Box is certainly one to look at if you hate cleaning out and smelling the litter box since it does everything for you! This litter box requires a bit more work, but also less electricity. To clean this litter box, all you have to do is roll it all the way to one side and then back again. Then, pull out the clumps that have been sifted and add some clean litter if needed. If you’re looking for a scoop-free and odor-free litter box, the Omega Paw Self-Cleaning Litter Box may be the right one for you. This is another litter box that requires a bit of work, but is far easier than scooping. 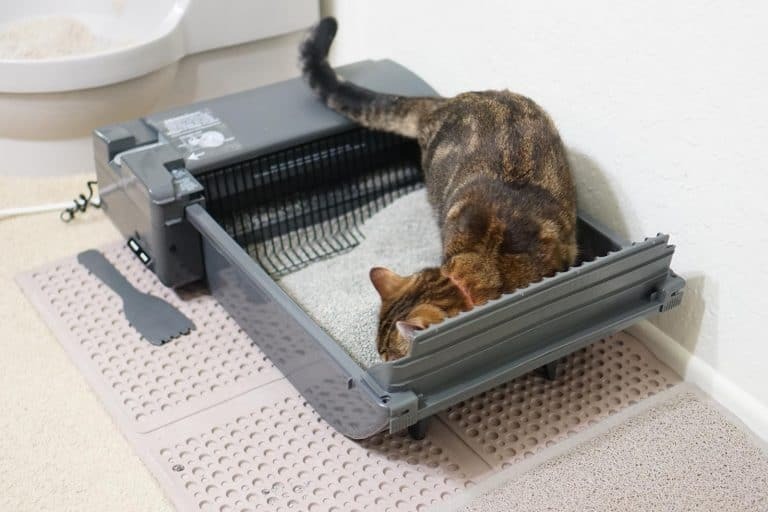 This litter box uses a separation grid to catch clumps in a convenient waste tray and then puts the clean litter right back to where the cat can reach it. For a unique litter box that can save you time and keep your house smelling better than ever, the Le You Pet Semi-Automatic Quick Cleaning Cat Litter Box is a great option. Next on our list are some regular, non-automatic litter boxes that will help you keep your litter box odors under control. As you’ll see, these have one main thing in common that has earned them a place on our list of best litter boxes for odor control. And that is an antimicrobial coating. One of the main causes of litter box odor is bacteria, so these litter boxes work to reduce that. Bacteria tend to gather in the microscopic scratches on the surface of the litter pan. These are formed by your cat’s claws or the scoop. They can also be difficult to remove and may damage the plastic over time in addition to causing litter box odor problems. To clean the litter with this three-part system, lift and shake the sifting tray from the first pan to remove clumps. Dump the clumps, then place the sifting tray in the clean pan and dump the clean litter from the first pan into the second one. The Arm & Hammer Sifting Litter Pan is an inexpensive option for those who want to quickly remove all clumps and save as much clean litter as possible. It doesn’t get much more basic than this litter pan, but sometimes that’s all you really need. You can get a large enough size to accommodate any breed of cat, and it’s open design encourages cats to use it since they like the comfort of being out in the open. If you’re looking for an inexpensive option for cat litter odor control, the Petmate Litter Pan is certainly one to consider. This is the only other covered litter pan on our list, but it’s the litter-trapping aspect that we love about it. When cats jump out and onto the top, the lid catches stray litter and allows it to fall back inside which helps reduce odor from tracked cat litter. As long as you’re willing to scoop it often, this Top Entry Litter Pan can help you and your cats enjoy odor-free living arrangements. As far as we know, no other litter box provides the versatility of this one. You can use it as a covered litter box if your cat prefers that, or you can split it and have two litter boxes. Either way, the round design helps prevent waste from becoming trapped in corners. If you have a neat cat who doesn’t spray, the KittyTwister DUO Cat Litter System could help you reduce cat box odors in your home. This is another basic cat litter box that will help with odor control. It has a sloped design so that the front entry area is lower and the back and sides are higher to contain messes. Like the others on this part of the list, it has a special coating to keep odor-causing bacteria at bay. The Arm & Hammer Cat Pan is perfect for older cats and small kittens, but does need to be cleaned out frequently for ultimate odor control. 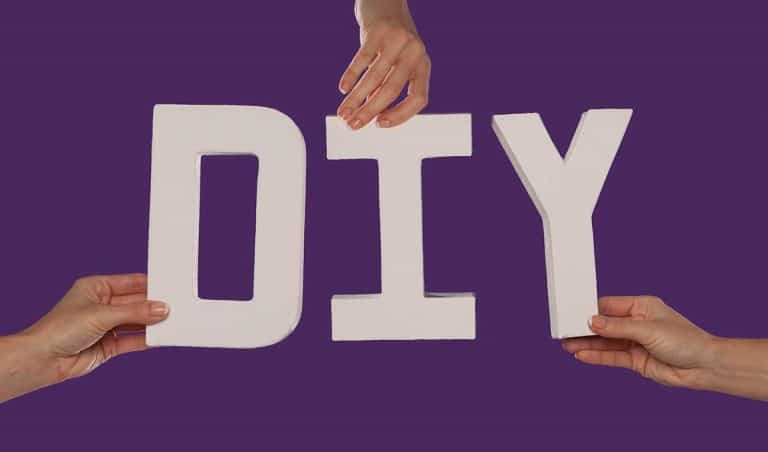 Need More Ideas to Reduce Litter Box Odors? While your first step in reducing the smell your cat produces should be getting one of these best litter boxes for odor control, there are some other things you can do. For more details on these and more, check out our post on litter box smell. It’s packed with everything you need to know about reducing litter box odor so you can enjoy having a cat even more! How Much Does an Automatic Litter Box Cost?